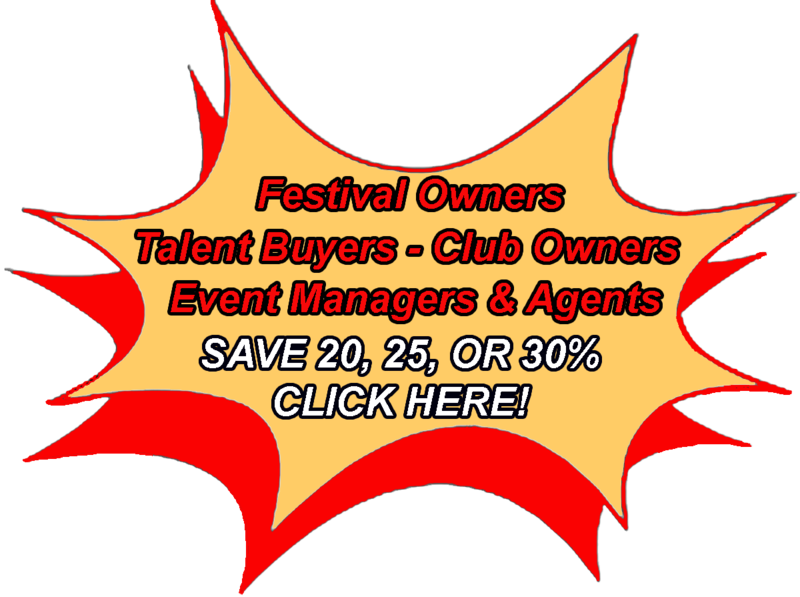 Save Money On Festivals, Events, or Club Advertising! When you book any sponsored artist listed below for your event you'll receive an advertising discount from Blues Music Magazine! - Save 20% off when you book one artist. - Save 25% off when you book two artists. - Save 30% off when you book three artists. Call (855) US BLUES and SAVE TODAY!